Sanjay Dutt biopic titled Sanju is definitely one of the highly anticipated films of the year starring Ranbir Kapoor in the lead. The film, helmed by Rajkumar Hirani, will tell the tale of the bad boy of Bollywood who went through craziest phases in his life in front of the limelight. From being a star kid to big Bollywood debut, from drug addiction to assault rifle possession, marriages and several affairs to the dark side of Bollywood, everything will be showcased in the upcoming film. The full-fledged trailer released on May 30 which presents a dramatic and enigmatic saga of Sanjay Dutt. The trailer, posters, and teaser of Sanju have garnered immense attraction from the audience due to the uncanny resemblance between Ranbir Kapoor and Sanjay Dutt. As Ranbir plays all the phases of Sanjay in the film, the veteran actor recently opened up about how impressed he is with Ranbir's performance. Speaking to a leading tabloid, he said that he had no advice for Ranbir but the actor had done a fantastic job in the film. Sanjay said that the film is really great from whatever he had seen on the sets of the film. He is looking forward to watching the film and has wished Ranbir best of luck for it. Written and directed by Rajkumar Hirani, the film will also star an ensemble cast in addition to Ranbir Kapoor which includes Paresh Rawal, Anushka Sharma, Manisha Koirala, Vicky Kaushal, Sonam Kapoor and Dia Mirza amongst others. Produced by Vinod Chopra Films and Rajkumar Hirani Films in association with Fox Star Studios, Sanju is all set to be released on June 29, 2018. Ranbir To Play Sanjay Dutt In Raju Hirani’s Next? 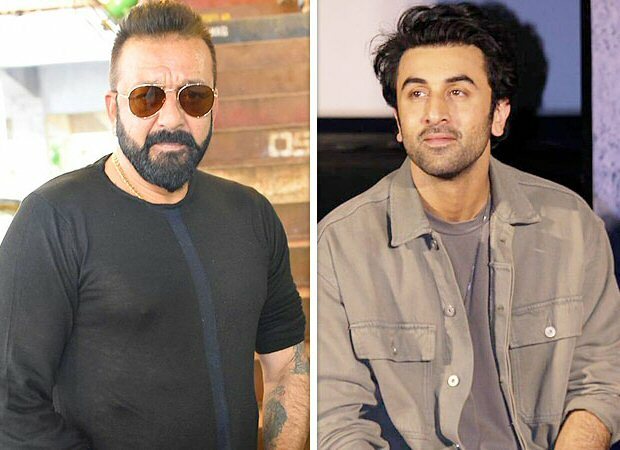 SHAMSHERA: Sanjay Dutt to play a BRUTAL khalnaayak to Ranbir Kapoor’s war hero!